Home Babies and Toddlers February Is The Shortest Month Of The Year! February is the shortest month of the year, but it’s PACKED with holidays, events, and anniversaries! And, this year we get to see the world’s top winter athletes compete in the Winter Olympics in PyeongChang, South Korea. To those who fought to live in freedom like Harriet Tubman and Frederick Douglass. To those who fought for equal rights like Martin Luther King, Jr and James Baldwin. And to those of the modern generation who continue to fight for justice and equality like Ta-Nehisi Coats, Laverne Cox, Michelle Alexander, and many more. We hope you enjoy reading The Patchwork Path and Joseph’s Big Ride. Two very different stories, from children separated by time and circumstance. 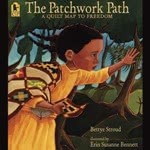 Patchwork Path is about a little girl striving to be reunited with her family amid gross injustice and slavery of the mid 1800s United States. 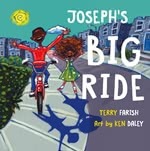 Joseph’s Big Ride is about a little boy who came to North America as a refugee, and learns to trust and make new friends. The Winter Olympics occur every 4 years, in a different host city each time. This time, we travel to PyeongChang in South Korea! So dust off those old sports rivalries! Will the Canadian women’s hockey team beat the United States AGAIN? Will Team USA dominate in Alpine Skiing again? 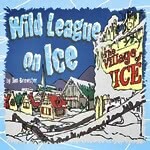 Here are some great winter-sport themed books to get you into shape! We hope you enjoy this Spanish TumbleBook! 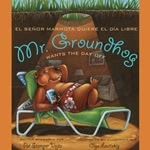 For an animal that only has to work one day a year, Mr. Groundhog is awfully eager to give his job away! Why? He’s tired of everyone blaming him for predicting six more weeks of winter! People wear RED on February 3rd in honor of Heart health. Kelly LOVES the color red! 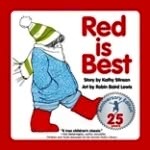 In “Red is Best” let her tell you why it is simply the best! Super Bowl LII – that’s 52 in Roman Numerals! 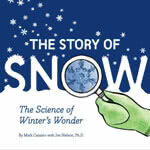 – is on February 4th! The Philadelphia Eagles face the New England Patriots! Who do you think will be victorious? Every road to Super Bowl Sunday has to start somewhere! 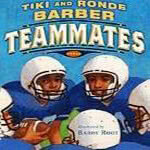 NFL superstars Tiki and Ronde Barber wrote “Teammates” together, and they show just how far teamwork and perseverance can take you! Queen Elizabeth II is the longest reigning British monarch in history! Her official coronation was in June of 1953. She’s been queen for over 65 years!! TumbleBooks knows of another Princess Elizabeth! The Paper Bag Princess! Happy Birthday, Babe Ruth! If he were alive today, he’d be 123 years old! 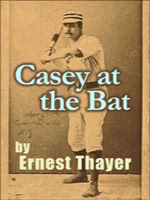 They say that Babe Ruth was the inspiration for the classic poem “Casey at the Bat”! For, as successful as he was (breaking over 60 Major League records and hitting over 700 home runs during his career), he was also notorious for striking out! Happy Birthday, Thomas Edison! If he were alive today, he’d be 171 years old! Thomas Edison is a famous American inventor, who held over 1200 patents, including those for the incandescent lightbulb and the phonograph! 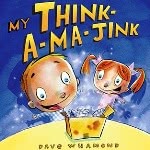 Check out some other curious “inventors” in the TumbleBooks favorite “My Think-a-ma-Jink”! Happy Birthday Mr. President! If he were alive today, Abraham Lincoln would be 209 years old! Abraham Lincoln is one of the United States’ most honored presidents. 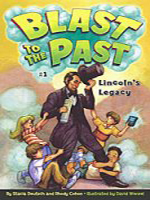 Go back in time with Mr. Caruthers’ third grade class and learn about the man behind the legend! Valentine’s Day is a day to celebrate LOVE in all its forms! As the Beatles would say, “All you need is Love”! 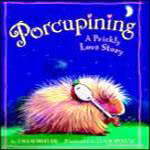 In TumbleBooks’ “Porcupining”, Cushion is a lonely little porcupine with a penchant for poetry (and music)… who could love him, with all his spikey quills? Wherever they are, Cushion’s going to find them! Happy Birthday, Susan B. Anthony! If she were alive today, she’d be 198 years old! Susan B. Anthony is an American icon who fought for women’s rights in the late 19th and early 20th centuries. 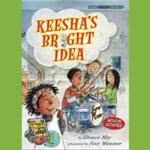 Today’s book is “Keesha’s Bright Idea” which celebrates a little girl’s ingenuity… something Ms. Anthony would have been proud of! Today is the third Monday in February… also known as President’s Day! 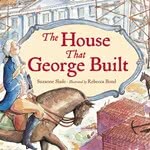 From Washington to Kennedy, or from Roosevelt to Obama: Celebrate the history of the United States’ greatest leaders with the TumbleBook favorite “The House that George Built”! Family Day, in Canada, is a time to come together and enjoy one another’s company… to appreciate just what family means to each of us. 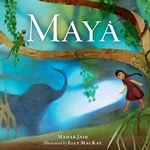 In a brand new and touching TumbleBook, “Maya”, a little girl uses fond memories of her deceased father to soothe herself, and assuage her grief as she navigates a tumultuous dreamscape. 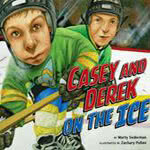 books, digital learning, early literacy, ebooks, eLibrary, Family, Fiction, library, read, reading, youth. Bookmark.